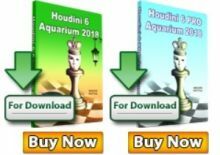 GM Ivan Cheparinov has won the Bulgarian Championship 2018 and now before the European Championship he found some time for Chessdom’s editor and last year champion GM Marian Petrov, to share his thoughts about his performance and expectations. 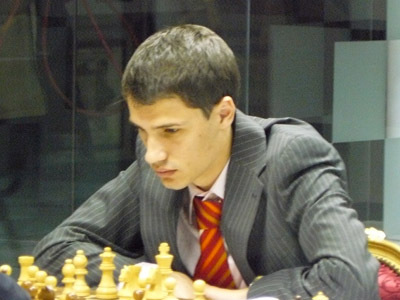 Marian PetrovIvan, first of all congratulations for winning the title! Can you tell us your impressions about the Bulgarian Championship, are you happy form the tournament and your games? Ivan Cheparinov Тhe event was organized very well. I played in Kozlodui few years ago and I was very happy to return there. Generally I was happy with my games, of course I made some mistakes here and there but I think in general I played stronger than my opponents. MP What happened in your game with Rusev (replay here), at one moment you made a big mistake and were losing? IC With Rusev I controlled the game most of the time. In the end I made mistake because I didn’t want to make a draw. He was very short on time and he couldn’t find the win. Anyway, I think it was not so easy for him with just 30 seconds on the clock. MP What was your most difficult game, it was expected to be against Georgiev? IC All the games were very tough. With Kiril of course it was very important game because he was one of the favorites to win the tournament. Our last 3 games ended in a draw, so I expected very tough fight. MP What are you ambitions from the European Championship that is starting soon? IC In the European championship I will fight for the first place like in any other tournament which I play. It will be very strong event and I expect very interesting tournament with a lot of nice games. I suppose I will play under ECU flag because is European championship because of the situation in the federation. MP Do you follow the Candidates and who is your favorite? IC Before the start of the tournament I thought that maybe it is time for Aronian, but now I think Caruana is playing very strong and he is my favorite. Of course Kramnik and Aronian are still in the fight. It is still too early, but I want to see Carlsen – Caruana World Championship match. MP What are your chess plans for this year, are you going to play the Olympiad? For the moment the most important tournament for me this year is the European championship. I have more tournaments, but I want to concentrate now for this one. As of now Bulgaria is not a FIDE member and our participation at the Olympiad is not sure. 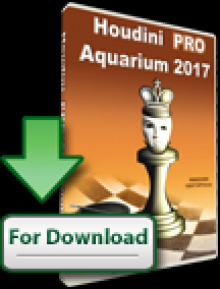 MP How do you prepare for the tournaments and how many hours per day you study chess? IC Before tournaments I like to prepare not only chess wise, but also physically and psychological. I like to do a lot of sports. I play a lot of football and also go to the gym. MP Do you follow TCEC and how much the computer engines are part of your preparation? IC Of course the computers take big part of my preparation, it is essential for high level chess. 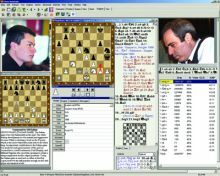 Without this nowdays it is impossible, but I specifically am interested in computers and computer chess for my opening preparation. For the other parts I like to use my brain.